Scotland’s Ingen returns to Mantis Radio, dropping a brand new liveset of techno heft. Up first, new music from Uniform, Moire, Rodz Konez, GIL, and Paula Temple’s Noise Manifesto. With improvised hardware jams, field recordings, drum machines and synthesisers – Ingen’s livesets are rich in approach and thunderous. Ingen’s sound ranges from complex polyrhythms and soundscapes, to the darker, hard side of techno. His shows have taken him all over the world, playing alongside the likes of Derrick May, The Advent, Perc, Truss, D Carbone, Kamikaze Space Programme, Whitehouse, and the mighty Surgeon. A regular visitor to Japan, in the past three years he has played Dommune and Unit Tokyo. His music has been released through a myriad of labels – PLS.UK, DSR, Duality, Combat Recordings, our own Darkfloor Sound (as Savagen), Noodles, RIOT, Emetic, Digital Distortions and TWB. Ingen has worked with some of the scene’s best underground talent on collaborative material and remixes, including Lag, Paul Birkin, Martyn Hare, Ayarcana, Dronelock, Al Ferox, Paul Mac, Kamikaze Space Programme, Myler, Si Begg and Boris Noiz (Ontal). 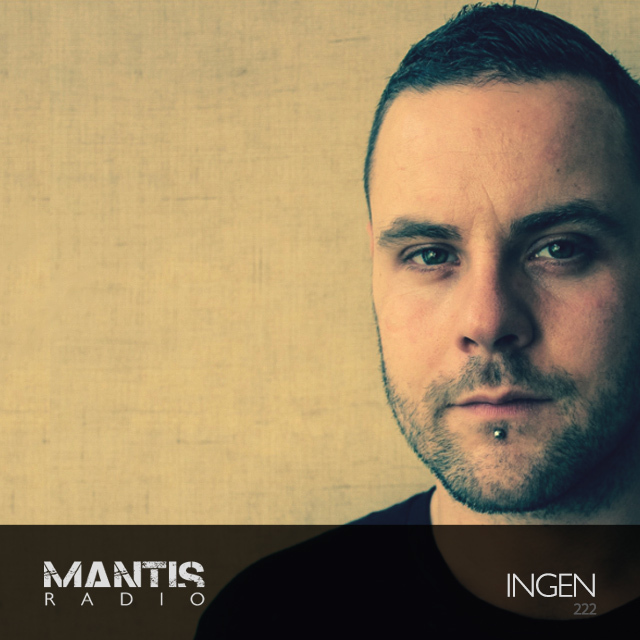 Ingen’s first session on Mantis Radio was back in late 2012. In 2013, he and Savier would debut their collaborative Savagen project on the show. Released in the next month or so, a new 12″ – Haste Makes Waste – for Edinburgh based label Riot Radio Records. 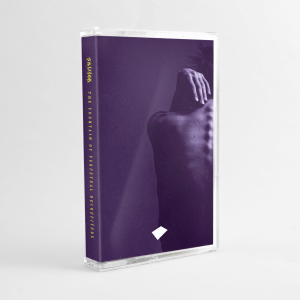 Backed with remixes from Lag, Paul Birken, Martyn Hare, and Riot. Dropping in the spring is material on Martyn Hare’s label Emetic, backed with remixes from Al Ferox and Hare himself. Last month saw the release of Ingen’s remix of Basix M by WarinD on Asteroid. An acid enriched stomper that one. Herd makes Headphone Commute’s Best of 2016.